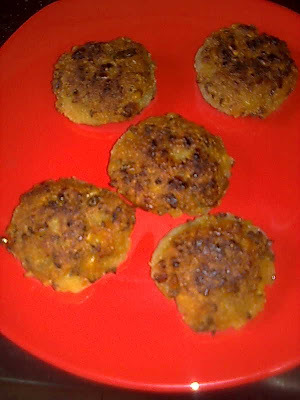 A delicious way to eat sprouts is to turn them into cutlet. 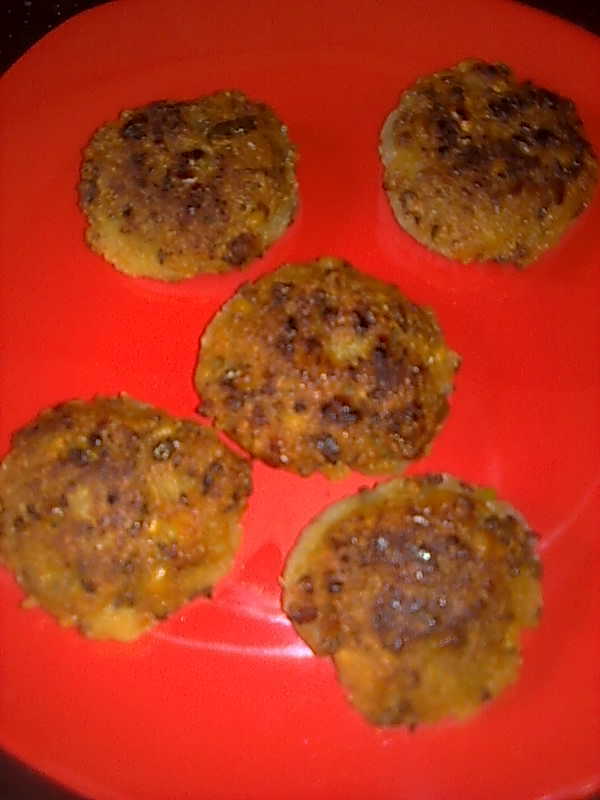 I am sure even your kids will love sprouts cutlet. I have used moong and moth sprouts in this recipe. 1. Steam the sprouts to 3 whistles. Semi mash them. 2. Peel and grate boiled potatoes or you can mash them with potato masher. 3. Mix all the above ingredients except oil. You will get a semi firm dough after mixing. 4. Form balls from the sprouts dough and flatten between your palms to get round or oval cutlets. 5. Heat oil in a pan and shallow fry these cutlets in batches. Serve hot sprouts cutlet with tomato ketchup or green chutney.